Tender Care Animal Hospital is a full-service veterinary clinic/hospital that seeks to provide the best possible medical care, surgical care and dental care for our highly-valued patients. We are committed to promoting responsible pet ownership, preventative health care and health-related educational opportunities for our clients. Tender Care offers optimum health wellness plans designed by age to prevent, detect, and treat disease more effectively. These plans are designed to maintain animals on preventative care through the form of vaccination, parasite screening and protection, yearly bloodwork and dental care. Vaccinations are utilized to protect our pets from common bacterial and viral diseases. We pride ourselves in utilizing a three year vaccination protocol for our cherished patients. By utilizing a three year vaccination protocol we limit the potential for adverse events to occur following vaccination. This is also a great savings for you. In addition, we utilize the safest feline rabies vaccination available to veterinarians, limiting the potential for vaccine associated fibrosarcoma. Furthermore, we communicate with our owners to determine the vaccination protocol that is ideal for each individual patient. Not all animals require the same preventative care. As with our vaccinations, we recognize the individual needs of each and every one of our patients. We stock several different heartworm and flea preventative products to ensure your pet has the protection that is ideal for their lifestyle. Ask about our injectable heartworm preventative that lasts for six months, eliminating the potential for missed doses and a great savings. Skin and ear problems are common complaints of pet owners. Here at Tender Care, we recognize this and help animals suffering from recurring ear infections, skin infections, or fleas. In addition we have specialized blood tests that can determine what your pet may be allergic to as well as hypoallergenic shampoos, diets, and treatments specific for the allergic pet. Tender Care has a state-of-the-art surgical facilities designed to enable our doctors to perform to the highest level. We perform routine procedures such as spays, neuters, and mass removals in addition to more complicated procedures such as emergency intestinal surgery. 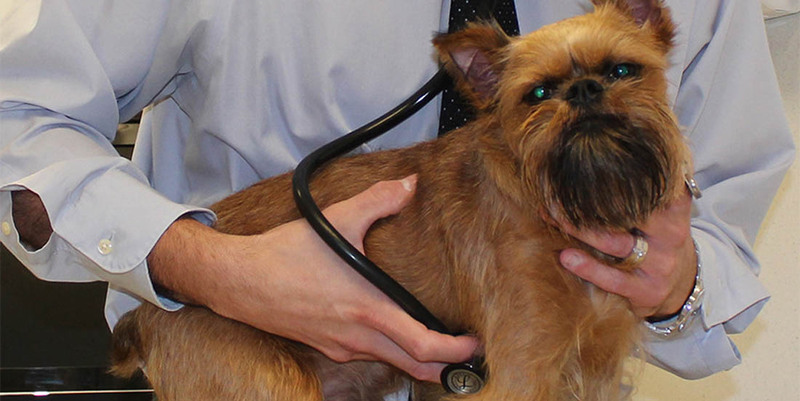 Tender Care has a fully-trained veterinary and technical staff to ensure a safe and efficient procedure for your pet. In addition, we have heated surgical tables for greater comfort, advanced sterilization techniques, ECG, blood pressure, oxygen saturation, and carbon dioxide monitors. Following their surgical procedure, your pet will rest comfortably in our intensive care unit (ICU), equipped with advanced tools necessary to ensure your pet's safety. Obesity is on the rise in the companion animal community. Obesity can lead to other diseases such as diabetes mellitus, congestive heart failure, orthopedic and neurologic disease. Tender Care Animal Hospital of Peoria specializes in a weight control program through dietary intervention and pharmacology to assist your loved one back to a healthy weight. Send your pet for a day of fun and exercise at our Peoria Doggy Daycare! Tender Care is equipped with an on-site laboratory, digital radiology, and ultrasound to assist our doctors in the quick diagnosis of your pet's condition. We also have a reference laboratory where specialized blood tests can be sent to evaluate for less common conditions. Not all pets should eat the same type of food. Trust Tender Care's knowledgeable staff's recommendations for your pet's diet. We pride ourselves in understanding that each pet has individual dietary needs and requirements based upon breed, activity level, and environment. Our trained and certified staff is available to assist you in choosing the correct diet to keep your pet healthy, happy, and active. Veterinary patients experience pain and discomfort similar to what humans experience, however by nature animals won't demonstrate or communicate that level of pain. The knowledgeable staff at Tender Care recognizes the subtleties of the pain response and understands how to effectively alleviate pain in animals. Saying goodbye to a long-time companion is difficult. We understand this and work intimately with our clients to ensure their pet's comfort and dignity. "Last night when we got home from work our dog had been having some issues so we called Tender Care whom we have never used the vet services just grooming. They had us bring him right in and took such good care of us. Dr. Larson was so nice. He took so much time with us, you would have never known it was after hours. We moved to Peoria and only have a vet in Canton and he took the time to go over our options with continuing care and even gave us his cell number for peace of mind. I would honestly recommend Tender Care to everyone. I couldn't have asked for better care last night for our Yorkie, Tank!" - Alysha E.
Paws Giving Independence would like to thank Dr. Larson and the team at Tender Care for taking such great care of our service dogs and service dogs in training. By helping us keep our costs down we have been able to train and place more dogs. Chazzy recently graduated and is a facility dog at Schramm School in Pekin. He will be helping the teachers and therapists at the school support their students. They love him already. Thank you for taking such good care of him since he was a puppy! !